On a hot July morning in 2009, Hubby and I planned to assemble a new outdoor toy for Little Red. 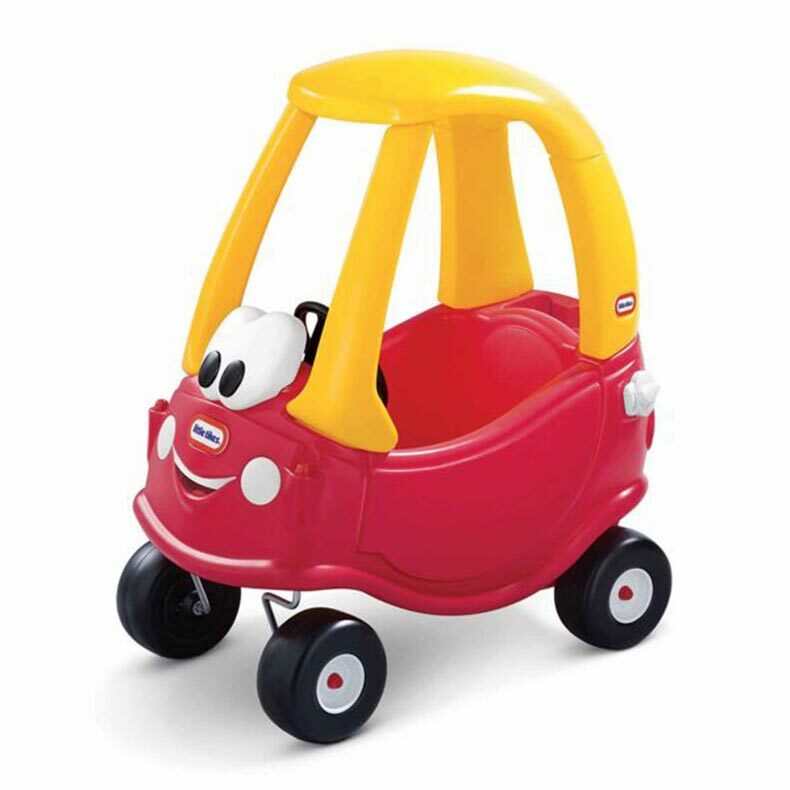 It was a Cozy Coupe, the Little Tikes car that kids propel Fred Flintstone-style. We opened the box and found about six large plastic pieces, along with some smaller bits and hardware. It looked like a quick and easy job. After all, we had assembled large furniture pieces from Ikea in the past. This would be a breeze and Little Red would soon be puttering down the driveway. That’s what we thought, anyway. The first part went easily, but when it was time to insert the yellow posts into the red frame, things got tricky. Hubby labored and sweated, muttering things I dare not quote. He double checked the instructions. He asked me to check his work. It looked like he had followed the directions provided by the Little Tikes engineers. Frustrated, we continued to mess with it until we were ready to throw it across the yard, kick it, and whack it with a 2 x 4 for grim relief. Instead, we took a lunch break. I honestly don’t remember how we finally got it assembled, but I think it had to do with me actually straddling the vehicle and using my substantial body weight to fit a piece into place. We finally realized that we had been too gentle with these tough pieces of plastic. The directions should have added, “Apply 200 lbs. of force and don’t be afraid to push so hard that you think it will break.” I was so wiped out from wrestling with the first piece that Hubby took the next one or two. We eventually manhandled (personhandled?) the little vehicle into submission. Little Red loved riding in that thing. His sister was born the following year and over the next few summers, many happy hours were spent behind the wheel of the Cozy Coupe. “And frustration,” I added. Five years after that sweaty, exasperating experience, we laughed about it. Sometimes, I think disobedient kids must feel the same way Hubby and I felt when we were struggling to finish our task. We tried to do what the instructions said, but the instructions weren’t complete. 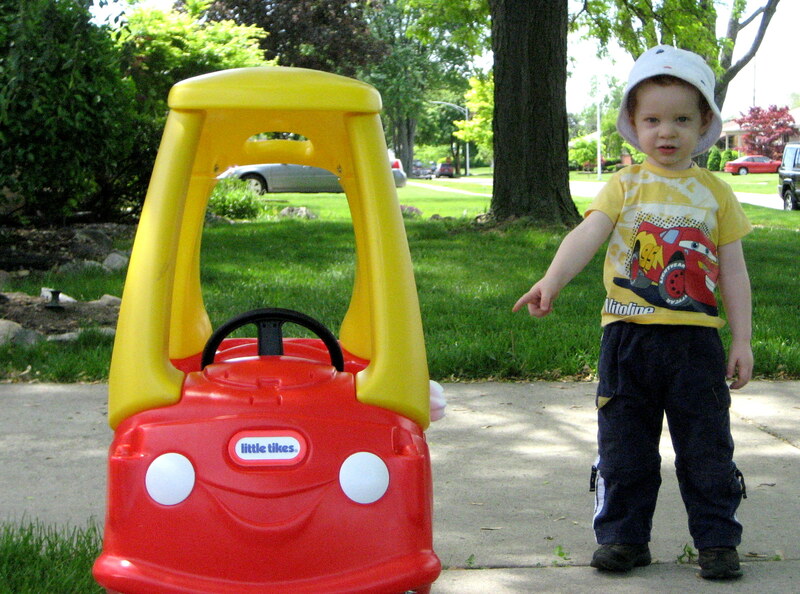 Just like the Little Tikes engineers, parents may think that the child knows what he’s supposed to do. Just like Hubby and me, the child doesn’t have all the information. He’s frustrated, and now, Mom and Dad are frustrated too. In a previous post, I talked about the importance of consistency. One of the reasons children don’t obey is because their parents are inconsistent. The second reason a child doesn’t obey is because there is a lack of clear expectations. How can you incorporate clear expectations into your discipline routine? (1) Be specific. Telling a child “Clean up your room” may not yield the results you were expecting. She made the bed and put away her dirty clothes. To her, the room looks clean. When you open her closet, the toys are haphazardly strewn inside. Your initial reaction may be anger because she didn’t obey. But take a minute to recognize, you never spelled out what a “clean room” entails. (2) Don’t punish a behavior if you’ve never explicitly stated the rules. We adults like to say “You know better than that” but sometimes, kids really don’t know better. It seems like common sense to you that a wet bathing suit should be hung up right away, rather than being left overnight in a soggy heap on a hardwood floor. In the morning, when you’re upset to find your floor damaged, ask yourself, Did I tell Junior to hang up his bathing suit? Have I explained that wet things can’t be left on our hardwood floors? If not, you need to tell him. Call him to the offending area, show him the effects of his actions, but don’t blame, belittle, or punish him. No matter how annoyed you are, avoid handing down punishments for things he “should have” known. If you didn’t teach it to him, it’s very possible that he really didn’t know. Finish your conversation with, “Next time, I expect you to hang your bathing suit in the bathroom. I don’t want to find wet stuff on the floor ever again.” Give him a hug and a kiss and drop it. (3) Teaching a new behavior is tedious. It will get easier. Think about your first week or month on a new job. You were overwhelmed by all the new information. Your boss was stressed from trying to do her own job while stopping to train you. Once you became proficient at your job, it was better for everyone. You and your boss began understanding each other. You could predict how she would want you to handle problems that arose. That’s how it is when you’re teaching your kids new things. At first, parents think, Ugh. I can’t believe I have to spell all of this out. Eventually, your child will being to sense what you expect of him in certain situations. I’m finished writing about clear expectations and obedience, but here’s one more piece of parenting advice for you: Buy your Little Tikes toys pre-assembled or used. Happy parenting! Thank you for this! Great advice! I’m planning on implementing something to help give clearer instructions as far as cleaning goes…I am going to take a picture of the room the way I want it to look so when I say “clean your room” I can have them refer to the picture so they have a visual and hopefully get closer to the goal…that is if I can ever print the picture! Visual cues! GREAT IDEA! That works for kids of any age, even little ones who can’t read yet. I’m going to include your suggestion in an update above. 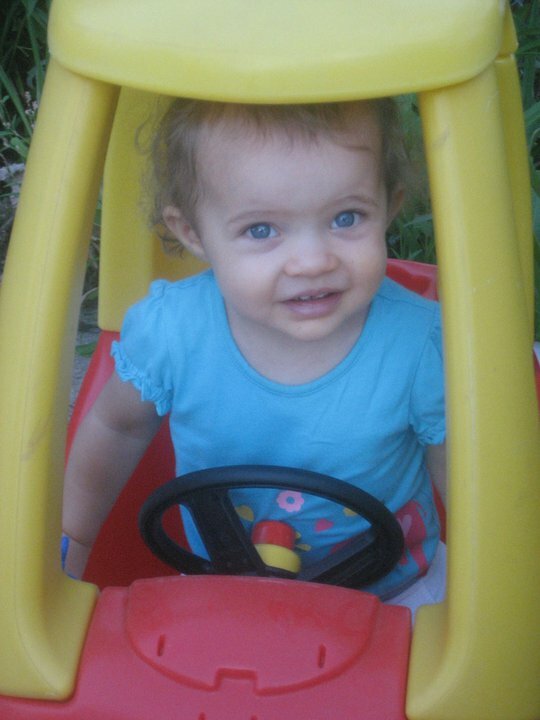 When I was prepping to write this post, I found videos on how to assemble the Cozy Coupe. It seems we aren’t the only people who had a hard time!